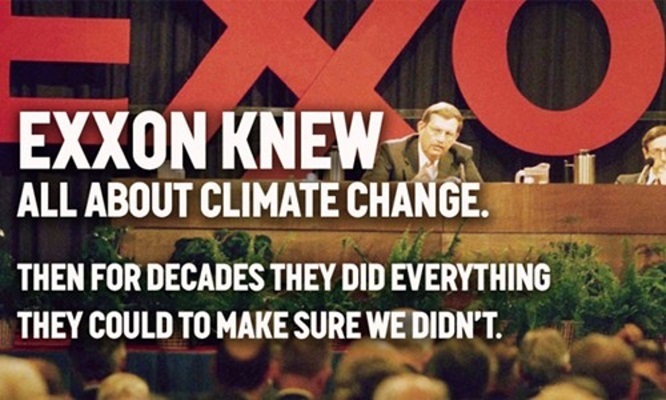 Massachusetts’ Attorney General is trying to force Exxon to turn over decades of records involving what it knew about climate change and what it told the public. The U.S. Supreme Court declined to take up ExxonMobil’s latest attempt to block Massachusetts’ investigation into whether the oil giant misled the public and investors about climate change. Read the entire article at Inside Climate News. The decision clears the way for state Attorney General Maura Healey to force the company to turn over records as her office probes whether Exxon concealed its knowledge of the role fossil fuels play in global warming. Those records could open a window into the company’s internal discussions, including its handling of financial and climate data as it charted its business path going back decades. Exxon has fought Healey in state and federal court for more than two years, but the courts have repeatedly backed her authority. Last year the Massachusetts Supreme Judicial Court upheld her right to investigate. Exxon asked the U.S. Supreme Court to review that decision, but the justices decided not to hear the case. Healey’s office issued a civil investigative demand (similar to a subpoena) in 2016 seeking a trove of documents it said would shed light on what Exxon knew about the effects the burning of fossil fuels has on global warming and how regulatory efforts to slow the effect of climate change could impact the company’s bottom line. At the heart of the Massachusetts demand are records going back to 1976 “concerning Exxon’s development, planning, implementation, review, and analysis of research efforts to study CO2 emissions (including, without limitation, from fossil fuel extraction, production, and use), and the effects of these emissions on the climate,” according to the investigative demand.